L. Mamilius was one of the moneyers for the year 189-180 BC. He is otherwise unknown. Gens Mamilia was a plebeian family at Rome during the period of the Republic. The gens was originally one of the most distinguished families of Tusculum, and indeed in the whole of Latium. It is first mentioned in the time of the Tarquins; and it was to a member of this family, Octavius Mamilius, that Lucius Tarquinius Superbus, the seventh and last King of Rome, betrothed his daughter. The Mamilii were divided into three families, with the cognomina Limetanus, Turrinus, and Vitulus, of which the two latter were the most ancient and important. 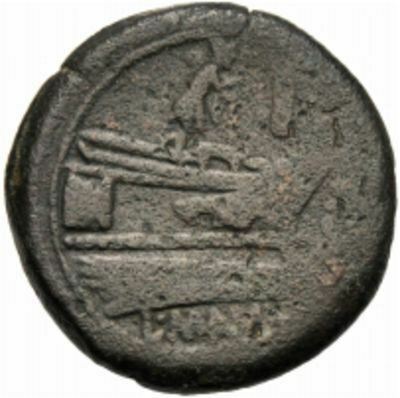 Limetanus is the only surname which occurs on coins.